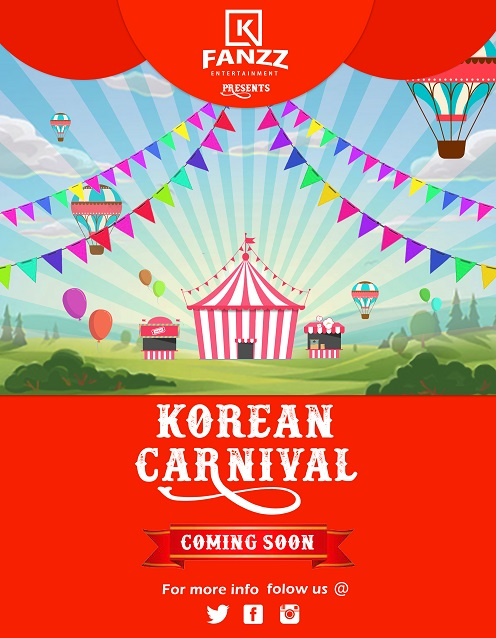 Korean Carnival it is a Korean Fest in which we are planning to have Musical and Dance performances, Korean and Indian Food Stalls, Korean Games, Quiz and many more. About Organiser: KFanzz Entertainment is a startup for Korean Events in Hyderabad. We are an organization that is fan-centric and are obsessed with creating better opportunities for fans to enjoy the events.